You may ask what is a Quick Response Code? They’re better known as QR Codes. Even if the name doesn’t sound familiar, chances are you have seen one. They are quickly becoming the new trend in interactive marketing, posted on walls and brochures, business cards, flyers, and restaurant menus are just a few of the places that you’ll see QR codes. Now you maybe asking what exactly is a QR code, and what does it do? A QR Code is a square block with black modules surrounded by a white background. It is designed for users to quickly scan the image with their camera on their smartphones. After the code is scanned it transfers specific information to the user’s smartphone, such as coupons, maps or website links. They help bridge the gap between traditional marketing and new media. These codes are made to be quick and easy to use, so that they can be quickly scanned. They open up a wide variety of marketing options for small businesses and nonprofits. 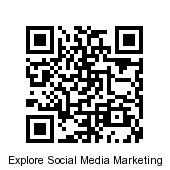 QR Codes allow you to get customers to “like” and “follow” you on social media. They also help to drive traffic to your website and service offerings, widening your customer reach. If you are a salon or spa owner you can direct users to a video or a collage of your styles. You can show off before and after photos, new hairstyles, how-to-video, link to a special “unlimited time only” coupon for a new service or product. Nonprofits can use QR Codes to direct potential donors to their “Donate Now Page”, link to their calendar of events page, or their programs and services page. Where are the folks I want to reach? What do I want those folks to do? This entry was tagged Brand, Business, Internet Marketing, Marketing, Marketing and Advertising, Products, QR code, Quick response manufacturing. Bookmark the permalink. ← Have you Google’d You?